The District Sirsa which was the part of Hisar District has been converted as District Sirsa w.e.f. 26.09.1975. It is located in the western part of Haryana. It is bounded by the State of Punjab in the north and east, state of Rajasthan in the south and west by the District Hisar. The total area of District is 4276 Sq. K.M. having the total population 12,95,114 as per 2011 census. Sirsa city is away from the Delhi about 250 K.M. on the National High way No.10. There are many type of industries in the district which are engaged in the manufacturing of various items such as Seed Processing, Wrapping Papers, Milk Chilling, Rice Shelling, Chemicals, Iron and Steel Fabrication, Agriculture Implements, Leather Good, Hard and Straw Board etc. In the district, there are exporting units also. They export their products i.e. Paddy Parboiling and Sella Rice to the Countries namely Saudi Arabia and other countries. The Prime Minister’s Employment Generation Programme is being implemented w.e.f. financial year 2008-09 by the MSME, Govt. of India, New Delhi with Khadi & V.I. Commission being the Nodal Agency or implementation of the scheme. Under the scheme, Govt. Subsidy ranging from 15% to 35% will be provided for the projects financed by the Bank to the beneficiary. For the purpose, the Ministry of MSME will provide funds on yearly basis to KVIC. Udyog Kunj at Village Bhaudin is situated on the National Highway No.10 away from the Sirsa City about 17 KM. The above said Udyog Kunj has been developed by the HSIIDC. There are 10 Nos. of plots of sheds have been constructed and 29 Nos. of plots 100 & 166 Sq. Yards are open plots. All the resident of Haryana are eligible to participate in the scheme. HSIIDC is the nodal agency to implement this scheme. The State Government has decided to give incentive to the units coming up in the Udyog Kunj as applicable under the rural industrialization programme. District Industries Centre is also performing the role and function of District Registrar of Firms & Societies under The Indian Partnership Act, 1932 and Societies Registration under The Haryana Registration and Regulation of Society Act 2012. Notification No. 49/43/2015-41B1 dated the 14th August, 2015. Pursuant to the decision taken by the Government to review the Industrial and Investment Policy-2011, notified vide No. 49/100/2010-41B1. dated 31st December, 2010, the same has been revised following a detailed consultative process with all the stakeholders and a new policy formulated. The policy, of which the details are given in Annexure-A, has been concurred by the Finance Department vide their U.O.No. 1/16/2012-FD-III dated 10th August, 2015 and approved by the Council of Ministers in its meeting held on 11th August, 2015. Projects with an investment upto Rs. 10 crore and change of Land Use (CLU/NOC) cases upto one acre in conforming zones will be cleared by District Level Clearance Committee headed by Deputy Commissioner. The Committee would take up grievances from Individual Units or Associations either received through the portal for the Redressal of Grievances or a reference from Enterprise Assistance Group working with District Industries Centre for providing support to the Industries Particularly the MSMEs. No. 49/53/2005-41B1. 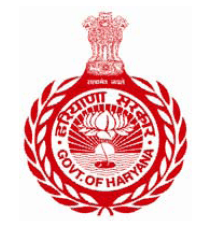 In pursuance of the resolve of Government to provide Single Window Service under one Roof for Time Bound Clearances of new Projects and accelerating the pace of investment in the state, sanctioning special packages for Mega Projects and approving any policy initiative through the Haryana Enterprises Promotion Board with Governing Council.